An interview with Los Angeles County Public Health employees – part of a NEHA effort to highlight stories of dedicated professionals working to keep our communities healthy and safe. Approximately 1.7 million tons of food is wasted annually in Los Angeles County according to the L.A. County Department of Public Works. Yet 1.2 million people experience food insecurity countywide. While edible food is recovered by many nonprofit charitable feeding operations (NCFOs) that distribute to underserved populations, donors still have difficulty finding available NCFOs to accept food. Additionally, fear of liability and the misperception that the health department does not support food donations are significant impediments. To bridge the connection between donors and NCFOs, L.A. County Public Health - Environmental Health is developing the L.A. County Food Recovery Application. 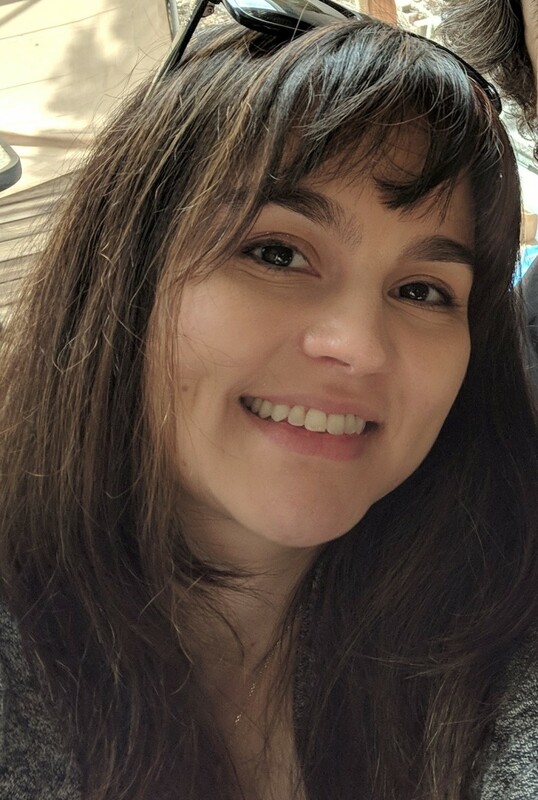 NEHA connected with two members to discuss the origins of this project, strategy, and ways other cities could implement similar innovations. 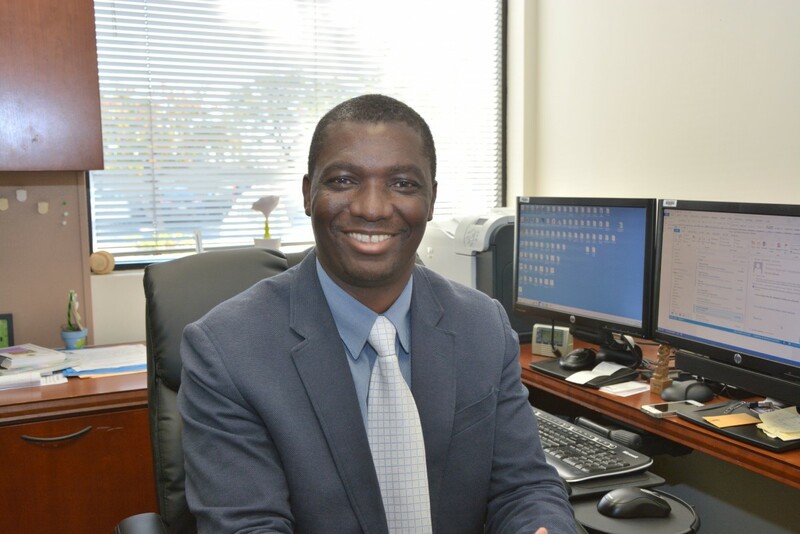 Freddie Agyin is Director of the District Surveillance and Enforcement (DSE) Branch at Environmental Health Division for the County of Los Angeles, Department of Public Health. Bernadet Garcia-Silva is the Project Manager for the Los Angeles County Food Redistribution Initiative. Freddie: I started my career as a biochemist in the chemical and pharmaceutical industries. As my professional career took off within the industry, my passion began waning and I wasn’t satisfied. So, like most people, I started contemplating my next move and began to research my options. As fate would have it, I came across the environmental health field through an online search and was very intrigued about what the profession had to offer. I went through the training process and became a Registered Environmental Health Specialist and have loved every minute of it. The fact that, every day I get the opportunity to improve the quality of life and health of the public we serve is rewarding and I take that responsibility very seriously. I also enjoy working and collaborating with our internal and external stakeholders to tackle emerging issues such as homelessness, food insecurity, and environmental justice. Bernadet: Initially, I was interested in populations that were disproportionately affected by mental health and substance abuse. This was my focus in the graduate program in public health at the University of California, Irvine (UCI). I worked for a Native American reservation in Arizona, with people who had HIV/AIDS in L.A. and Orange County, and with the homeless population in L.A. Many of the people I met had several competing unmet needs such as employment, consistent mental health care, medication, an environment conducive to exercise, and last but not least, proper nutrition. Though not the only strategy to mitigate hunger, I saw firsthand that easy access to emergency meals was a critical first step to health and recovery. My entry into environmental health began at the Environmental Health Division in Orange County, CA when a UCI graduate student research project demonstrated that many businesses in Orange County were under the false impression that donating surplus food was not allowed by the health department. During my time in Orange County, I encouraged businesses to donate surplus food to nonprofit organizations that serve food insecure families and individuals. This led to my current work with the L.A. County Department of Public Health - Environmental Health Division (DPH EH). NEHA: How did the Los Angeles County Food Redistribution Initiative begin? Bernadet: After the implementation of the Orange County project, L.A. County DPH EH senior management saw an opportunity to jumpstart something similar in Los Angeles County. Thus, the L.A. County Food Redistribution Initiative, or “LACFRI” for short, was established. We convened a LACFRI Steering Committee of food rescue stakeholders who made it very clear from the start that rescuing food to feed people is nothing new to L.A. County. What was most needed from government was to address gaps in education about food safety and liability as it related to food donations and provide infrastructure. NEHA: Your abstract mentions the challenge of financial costs to maintain food recovery apps. How is L.A. planning to maintain this project? Bernadet: Many applications rely on businesses to pay to use an application’s food recovery technology, however, we believe this may be a further deterrent to food recovery. We are exploring grant opportunities and other funding sources through our internal and external partners to maintain this project. NEHA: What could other cities learn from this effort? Smaller cities/bigger cities, etc. Freddie: I highly recommend that any municipality interested in this effort or a similar project to reach out to jurisdictions/partners that have gone through this process to learn from their efforts. It is also imperative that the agency or city makes it a priority to engage and collaborate with all stakeholders. We believe stakeholder feedback is invaluable. Bernadet: If cities of any size plan to assist in food rescue efforts, they must first see who is already doing the work and ask them what their needs are. Small and big cities alike can ask their local EPA Region representative about existing organizations and businesses doing great work in their community around food waste. One example of a larger city doing great work is the City of Los Angeles and its Bureau of Sanitation RecycLA program. The City of L.A. established a system under RecycLA that requires waste hauling companies to subcontract with food rescue organizations that will take surplus food to people who need it most. As the local health department, we support the City’s effort by offering food safety training to their staff and perhaps the Food Recovery App will assist the City’s work too. NEHA: What are the methods that will be used to increase engagement/involvement? Bernadet: There are essentially two audiences for this app – donors (businesses various institutions with surplus food), and recipients – which for the purposes of this application, refer only to 501c3 nonprofit organizations. Donors will be the first target audience, since all permitted food facilities are in the city’s system. In addition to informing partners in the business community via informal networks, donors will be informed of the app through community engagement with city governments, the county website, during regular inspections, and emails to operators. Staff will be trained to use the app, market it, and spread the word to their operators. It helps that the county staff is already very familiar with food donation laws. As of this year, 483 of Los Angeles County Environmental Health Specialist (EHS) staff were trained on safe food donation laws and the county is working to release a trifold in English and Spanish that will be distributed to all food facilities in L.A. County per California’s Good Samaritan Food Donation Act. * We are also finalizing a best practices guide for school districts regarding food donations and share tables – places where students can place their unwanted, uneaten food for others to take. *AB 1219, otherwise known as the “California Good Samaritan Food Donation Act” requires all county EH departments to distribute information encouraging donations of surplus food to food facilities. Freddie and Bernadet will be sharing more about the LA County Food Recovery App at the 2018 Annual Educational Conference (AEC) & HUD Healthy Homes Conference, June 25-28, in Anaheim, CA.